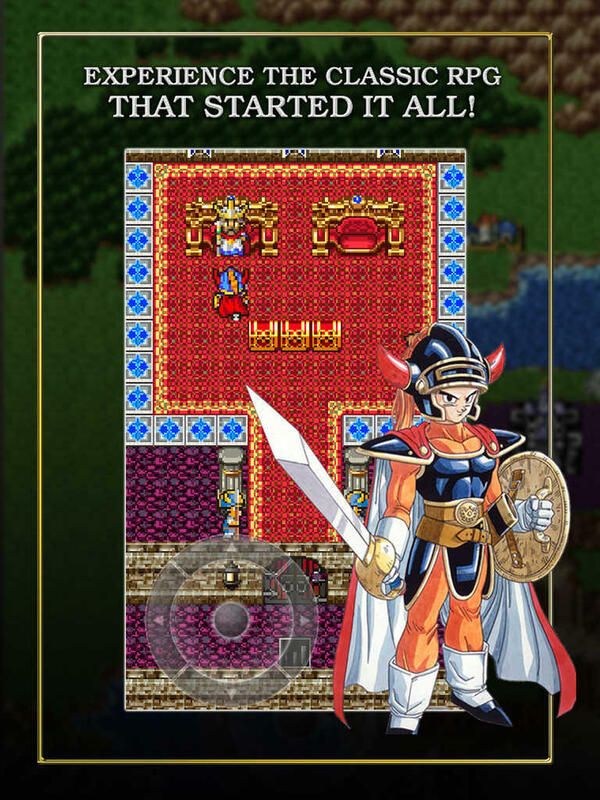 It took twenty eight years, but the first Dragon Quest game is finally available in America under the game’s real name exclusively on iOS and Android. The first time it hit American shelves was in 1989 when it was released as Dragon Warrior on the NES, and it was also remade for the Game Boy Color and again was released as Dragon Warrior in 2000. Thankfully, Square Enix is only charging $2.99 for this port. The producers claimed it was too old and too archaic in its design to charge the typical Square Enix tax, so you can snag it up cheaply. The big question is “Should you?” On one hand, the port looks like just the absolute worst thing. 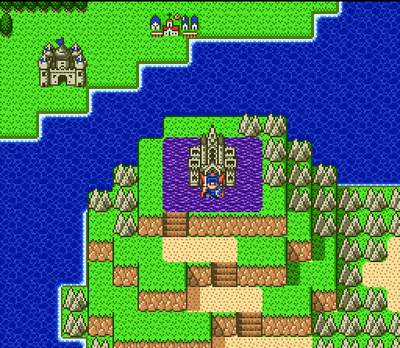 The graphics reek of the cheap, mobile aesthetic which has plagued the SNES Final Fantasy re-releases. Even the Super Famicom remake is more convincing and interesting than this, and that’s a twenty year old game! The design doesn’t exactly hold up either. 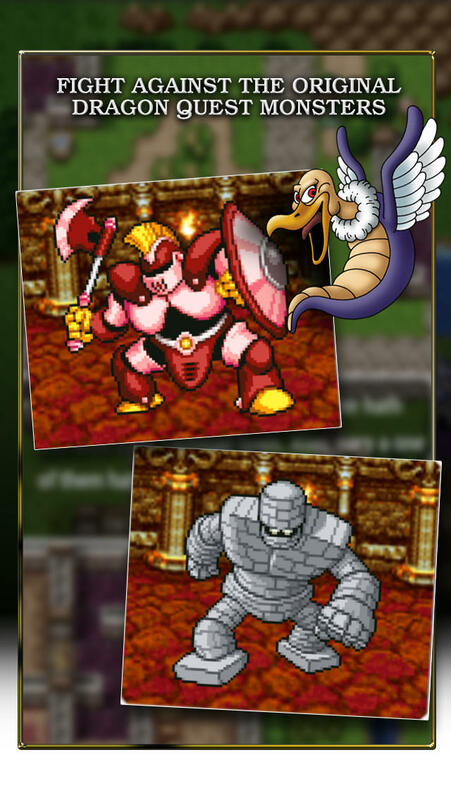 Despite being a classic and the fore-bearer of an entire genre, the original Dragon Quest is beyond basic in its design. You really do nothing but grind, and grind, and grind in one-on-one fights until your hero is strong enough to grind, and grind, and grind on the next strongest enemy in one-on-one fights. Eventually, you rescue the princess and kill the dragon. Boom, the end. Breaks my heart to say this, but you’ll find more depth in a Zenonia clone than you will in this game. Square Enix claimed that this “revamped” version makes the grinding less tedious because the monsters provide more experience and are easier to fight. Lo and behold, this move makes the game faster, shorter and strips it of its purpose just to please the mobile crowd, exactly the fate many long time fans are fearing will happen in newer games if the series does in fact go entirely mobile. 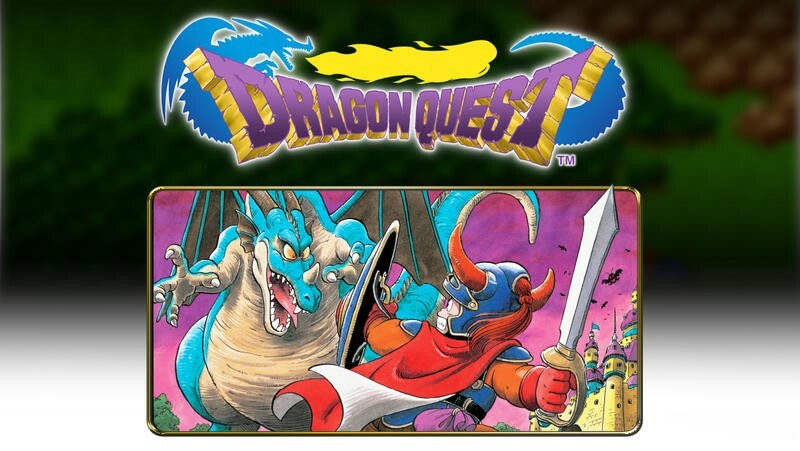 If you are new to the series, do yourself a favor and wait for the Dragon Quest III port before you make any final judgments on the franchise. 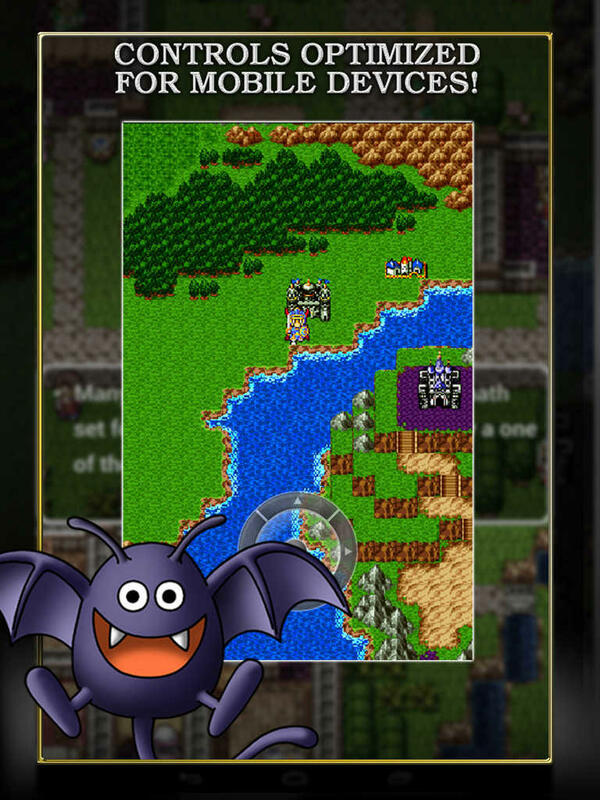 Square Enix said both it and Dragon Quest II were on the way. Or better yet, just go out buy a Nintendo DS and play all the wonderful Dragon Quest games on it instead. There are positive arguments for spending the $2.99 as well. Executive Producer Yuu Miyake says that Square Enix is using this to gauge and build a new Dragon Quest fanbase in America. 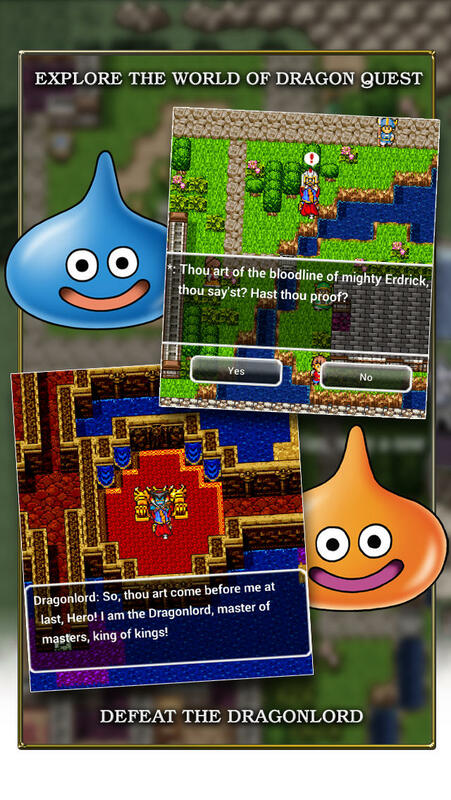 If this does well, we might see more Dragon Quest games in America, maybe even from the ever piling library from Japan on the Nintendo 3DS or PlayStation 4! If it doesn’t do well, Square Enix’s corporate number crunchers will assume that Dragon Quest‘s fanbase has simply dried up and vanished just because they didn’t want a terrible port of the simplistic original. A poor performance could cause Square Enix to scrap the whole series for yet another decade or two. It’s almost tempting to just cough up the $2.99 and not play the game. That way, I can go about playing the fan-translation of the Super Famicom version guilt free, and I still get to tell Square Enix I exist and am patiently awaiting them to return Dragon Quest to traditional gaming devices. Tough decisions, and I feel kind of dirty for making a $2.99 deal with the devil like this. Sorry if I sound like I am cynically ranting about Dragon Quest yet again, but this is the frustration fans of this series simply feel after having it stripped from us time and time again.